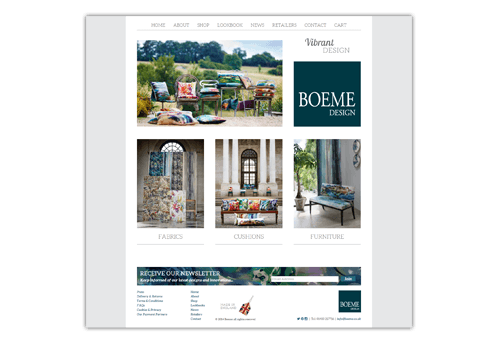 Boeme appoached us to develop their website into an e-commerce content managed site. We took their existing design and rebuilt it in WordPress. The e-commerce section of the site works via a WordPress plugin so the client now has complete contol over their website content and stock.